There are a few things every woman should know like the back of her hand. Number one on that list is her manners. Please, thank you, holding the door, etc. The list goes on and on including knowing your mom's shoe size (for borrowing purposes), knowing what 'your color' is, etc etc. But somewhere in the middle of that list is one very important fact that every woman should know: The absolute minimum amount of time it takes you to get out the door for work looking presentable. Now by 'presentable' I mean meeting-attire, hair brushed, makeup on, and shoes matching. Every woman needs to know her number in case the inevitable happens. If the alarm doesn't go off, if you snooze too much, if it was a really long night, and the list goes on. What's my number you ask? Brace yourself. 9. In an absolute crunch I need NINE minutes to get out of bed, dressed, makeup, and out the door. This number I've found is very low in comparison to others, so don't beat yourself up about it. I used to work a job that required me to be at work at 5am everyday so EVERY minute of getting ready in the morning I made count. Why are we talking about this? Well lovebugs, because in addition to knowing your number, you should have the go-to outfit to get you dressed and out the door. A foolproof great look that works no matter what. 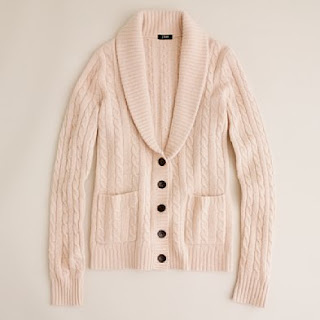 Take you pick for the color of sweater that suits you but a classic well structured open neck sweater is a great staple. I prefer a skirt as my go to staple but a good fitting pair of slacks work as well. If it's below 55 degrees, please do not go bare-legged. 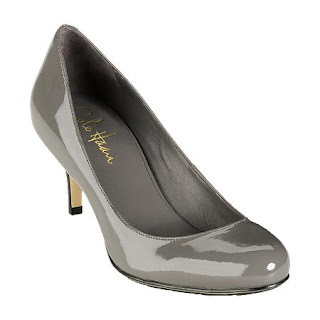 These are sleek and professional with a pencil skirt. I mean, look at the model, she doesn't even have a skirt on and they look great. Can I tell you a secret? Nike now works with Cole Haan to make comfortable heels. I'm talking like Nike sneaker comfort. Invest. Now. Always leave room for a statement go-to necklace. It makes you feel beautiful and it draws attention to itself. You'll be fighting off the "omg i love your necklace" comments for the rest of the day. So that's an example of my go-to 9 minute out the door outfit. What would yours be? AND more importantly what's you number? Hoepfully you don't have to use it too often but it's good to know! Girl I love this, and that is crazy you can get out of the door in 9 minutes!! My time is 30 min and that is pushing it!!!! Love your go-to outfit!!! Where was that Nike technology when I was in the office? My number is 6. My outfits are always laid out (& if they're not, I know where everything is kept) & I've done my make up for so long that I can do it without a mirror. Oh, and heh, my hair is in a pixie cut - no brushing needed, so that chops off 3 minutes to my routine! Resort Season- So not cool. Are you kidding me? It List!!! I'm on the IT List!! !